Yes, Mr. Loria. The door is behind you. Please let it hit you on the way out! Jeffrey Loria has once again proven that idiocy is alive and well in the world. Loria announced on Friday he fired Marlins’ President of Baseball Operations Larry Benifest, who worked with the Marlins over the past 12 seasons, which included a World Series championship in 2003. This move comes on the latter half of Miami’s fourth straight sub-.500 season. I think everyone who knows baseball knows that the Marlins’ failures of late have had nothing to do with Larry Benifest. Every single problem the Marlins’ have experienced, has been caused by their arrogant owner Jeffrey Loria. Benifest has been a testament to the Marlins’ organization. His leadership over his 12 seasons has been indisputable. He is in no way responsible for the latest Marlins’ downfall. Jeffrey Loria has destroyed any ounce of credibility from the Marlins’ organization. After the Marlins’ World Series win in 2003, Loria sold all of his talented players in order to make a profit for himself. He had no interest in the integrity of baseball, just the amount of paper in his wallet. In late 2011, Jeffrey Loria proposed opening a new stadium based on the tax dollars of Miami residents. He promised a championship level ball club in return for stadium funding. Instead, he once again sold all his good players to make a profit. Jeffrey Loria has also never been able to keep a manager. He fired Joe Girardi after the 2006 season, a year where Girardi was named National League Manager of the Year. Loria didn’t like the fact that Girardi wouldn’t “bow down” to his every command. An owner of a Major League Baseball teams needs to let his people do their jobs without fear of owner intervention. Jeffrey Loria just doesn’t know how to keep his mouth shut when it comes to firing people. I’ve seen Donald Trump use the word “fire” less than Loria has. There is no reason why Jeffrey Loria should remain in Major League Baseball. He is an arrogant, lying coward who’s done nothing but shame the game of baseball and the citizens of Miami. 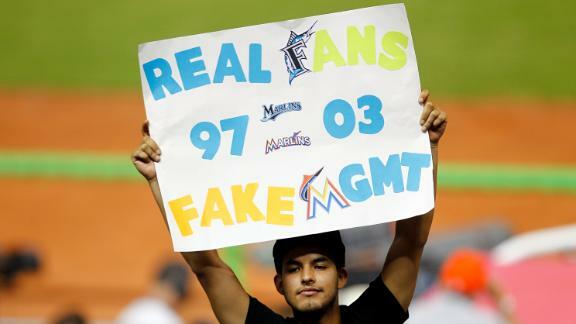 Baseball and Marlins’ fans deserve better from an owner. If Bud Selig was smart, he’d take ownership away from Loria and send a message to all horrible owners like Jeffrey Loria. 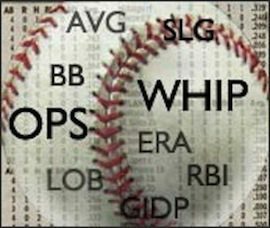 There is no place in baseball for your lies and heartless attitudes. Look, I’m not saying that owners should spends hundreds of millions of dollars on a baseball team. An owner of anything is supposed to treat their product right. And to be quite frank, the Marlins are the “red headed step child” of Major League Baseball right now. Jeffrey Loria is playing the part of the step father and he needs to lose his custody over the Marlins. He’s brought nothing but shame to a once respected organization. I implore Major League Baseball to relieve Jeffrey Loria of duty. He has been nothing but a poison and a disgrace to this amazing game. Keeping Loria in a position of power within baseball would only hurt countless fans across the country and the world. The sooner this moron is out of Major League Baseball, the better!